Peter is a second year PhD candidate in our group. He completed his B.Sc. Hons degree in Genetics and Cell Biology in Dublin City University in 2016. 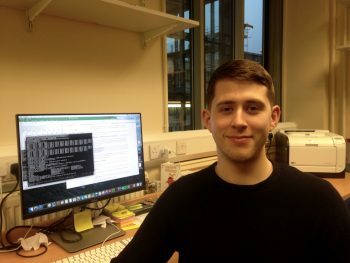 Peter’s PhD project is co-supervised by Dr Ian Carr at the University of Leeds and St James’s University Hospital and is funded by a University of Leeds Biological Science Scholarship. Peter is interested in resolving outstanding branching order issues in our current understanding of animal phylogeny. Peter will employ sophisticated heterogeneous models for phylogeny reconstruction in conjunction with large molecular sequence datasets to determine if greater resolution can be achieved for the animal tree of life.